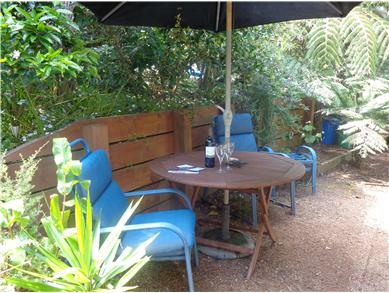 Situated in Waiheke's vineyard belt.. 15 min walk to beach. Close to beach cafes. Te Makiri cottage is newly renovated, two storied Mediterranean style, with solid plastered walls and terracotta tiled floors. It has two bedrooms and a comfortable sofa bed and sleeps up to five people. there is a bathroom inside with a toilet and shower and a charming private bath on the enclosed porch with a shower.It has a fully modern kitchen. The standard price is NZD$ 295.00 per night. A discount of 10.00% is available on bookings placed more than 8 week/s in advance. A discount of 10.00% is available on bookings placed less than 14 night/s prior to the booking start date. Te Makiri Cottage - 4.5 out of 5 based on 18 ratings. 9 guest reviews. Te Makiri Cottage - Reviewed by Leanne from Australia in March 2012.
was a really lovely place to stay. The owners were friendly and helpful. Will be back. 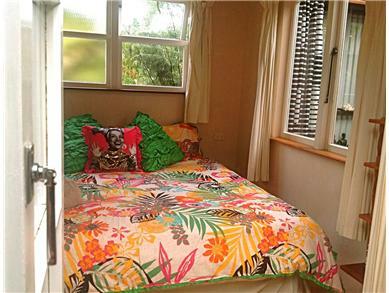 Te Makiri Cottage - Reviewed by David from New Zealand in April 2012. Katy and Gary were awesome with their wonderful hospitality and treating us with smoked trout, hot sauce, fresh eggs and lots more goods. The cabin was among native bush and vineyards. We recommend this property to anyone wanting to visit Waiheke island. 10 out of 10 from us. We will return. 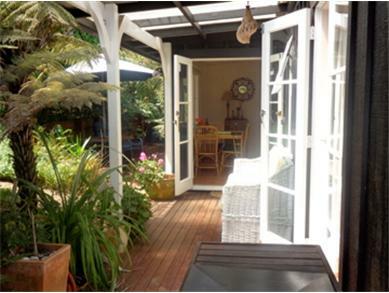 Te Makiri Cottage - Reviewed by Belinda from New Zealand in January 2012. We had a wonderful time. It is in the most beautiful setting and I would recommend it to couples who wish to get away for a weekend it has a real retreat feel to it! 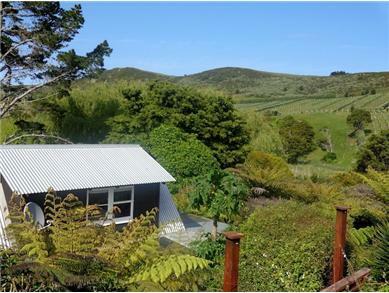 Te Makiri Cottage - Reviewed by Craig from Australia in January 2012. Can't fault it. we had a fantastic time. many thanks. 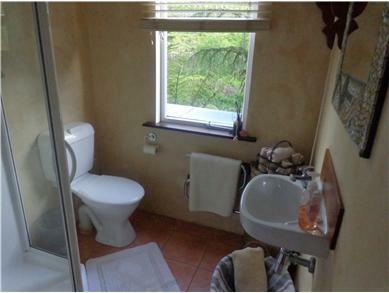 Te Makiri Cottage - Reviewed by Geoff from New Zealand in February 2011. Awesome stay, we only had one night and where very busy so did not have enough time to fully enjoy the great property. The supplied breakfast was a pleasant surprise that we had not expected and the CD of the owners music was a great addition to the atmosphere. 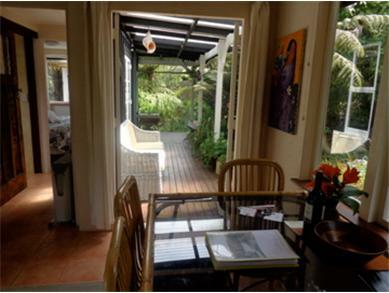 Te Makiri Cottage - Reviewed by YUMI from New Zealand in November 2010. It's very warm, clean and nice property. I believed it:s highly recommended. Thank you for taking us the lst minutes. Te Makiri Cottage - Reviewed by Janine from New Zealand in October 2010.
was a lovely property, just a shame it isn't very close to beach or shops/bars. Te Makiri Cottage - Reviewed by Jenny from New Zealand in December 2010. 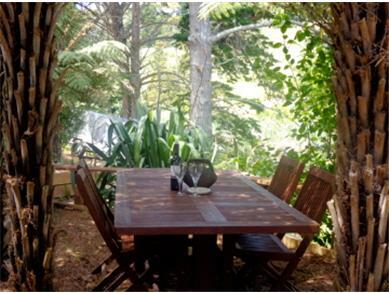 Te Makiri Cottage - Reviewed by Leoni from New Zealand in January 2011. We had a absolutely awsome stay would recommend to anyone and will visit in the near future. Casita Miro @ Miro Vineyard. Tapas and wine. Our guests have a private entrance into the Tuscany like vineyard next door which features the delightful Casita Miro, a popular tapas restaurant. Casita Miro serves Bordeaux wines in their architecturally designed restaurant with views of Onetangi Beach and picturesque Waiheke vineyards. the two storeyed cottage has been newly renovated with solid plastered walls and terracotta tiles. It has heating in all the rooms. The cottage has a modern kitchen and BBQ. The private upstairs bedroom is romantically decorated with views to the vineyard. We provide our guests with a healthy breakfast of Muesli. fresh ground coffee, toast bread and a selection of jams. 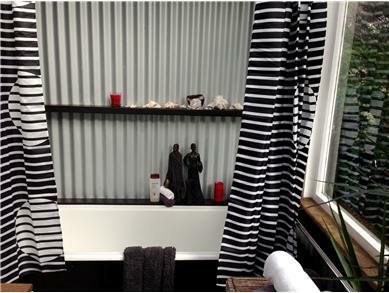 Our guests enjoy sipping wine in the outside bath situated on the covered porch with views into the native bush. 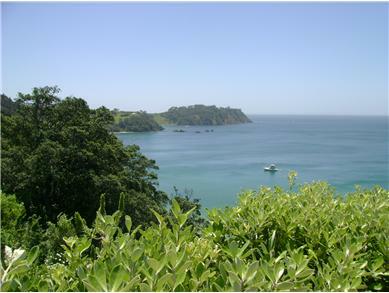 Te Makiri Cottage is a 15 min walk from one of Waiheke's most beautiful beaches, with white sand and great swimming. 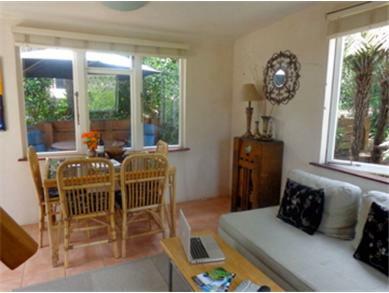 The cottage is 15 mins away from beachside cafes which regularly feature live, local music. A minimum 7 days booking applies for this period.